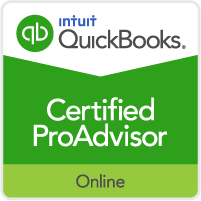 Our QuickBooks offer: "Save up to 30% on QuickBooks Software by using our ProAdvisors"
A QuickBooks ProAdvisor is a person, typically a CPA or a business consultant, who completed the course, took the test and became certified in QuickBooks. There are different types of certifications one can apply for, including QuickBooks Online, QuickBooks Point of Sale, QuickBooks Enterprise, etc. And there are different levels of knowledge too, with advanced being the highest. Someone who holds an Advanced certification in QuickBooks is knowledgeable in all the ins and outs of this software. 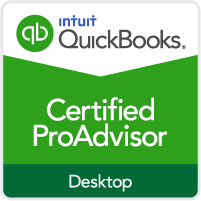 What Does a QuickBooks ProAdvisor Do? Helping you choose the right version of software for your business. Setting up QuickBooks properly, creating or importing the company file and completing the chart of accounts. Customizing QuickBooks to the unique needs of your business. Training your employees on what they need to know about QuickBooks in their role. Cleaning up your QuickBooks installation and company file to reduce size and eliminate clutter. Generating relevant financial reports to keep a pulse on your data. Consulting on how to use QuickBooks to grow and improve your business. Do I Need to Hire a QuickBooks ProAdvisor? Think about it: if you want to learn how to use QuickBooks for your business, or expand your existing knowledge, a QuickBooks ProAdvisor is the closest thing to learning from QuickBooks directly. Reading blogs or watching online instructional videos can be helpful to an extent, but this information is often rehashed and filtered through multiple sources. With a QuickBooks ProAdvisor you get straightforward advice and information that is accurate, up to date and answers your questions. So to answer your questions, if you want to become a QuickBooks power-user, there is no one better than a QuickBooks ProAdvisor to teach you. How Do I Find a QuickBooks ProAdvisor? You’ve just found Two! 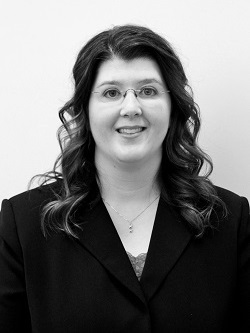 Amie Oettle, and Jennifer Bollingberg of Schauer & Associates, PC are certified QuickBooks ProAdvisor with years of experience in accounting, taxes and bookkeeping. So if you live in Jamestown, ND or surrounding areas, feel free to get in touch with us!